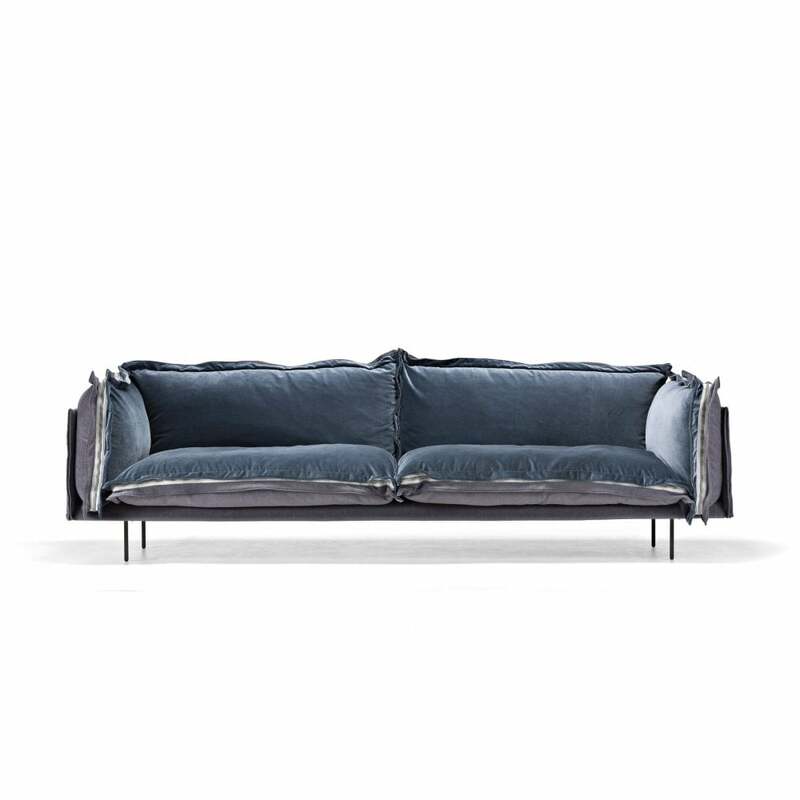 The sofa Auto-Reverse is designed by Giuseppe Viganò and born from the idea of expressing a dual soul. Slim, elegant and discreet surrounds contain the seat cushions, backrest and armrests. Emphasized ruffles ensure a well-defined movement to the line and an incredible softness both visual and tactile. The zip on all four sides of the cushions, instils rigor, emphasizes the design and combines the double lining: leather on one side and fabric on the other. A mix of materials creates sophisticated combinations. Legs madein minimal square section metal. Seat and back cushions are reversible and they can be covered with different fabrics and/or leathers. The cover of the structure is always in the same fabric or leather of one side of the cushions.